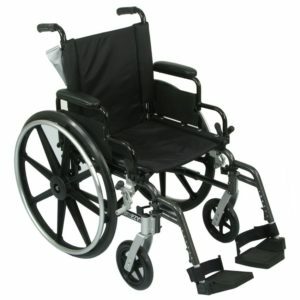 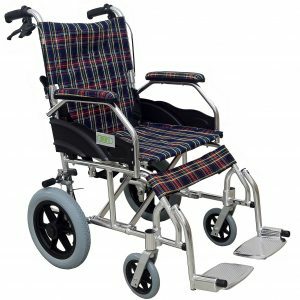 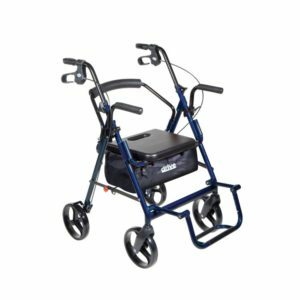 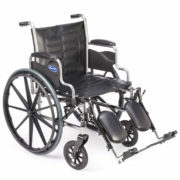 Deluxe with 12″ Rear Wheels – POTOMAC MEDICAL SUPPLIES, INC.
12″ rear wheels and features handle loop brakes for the attendant. 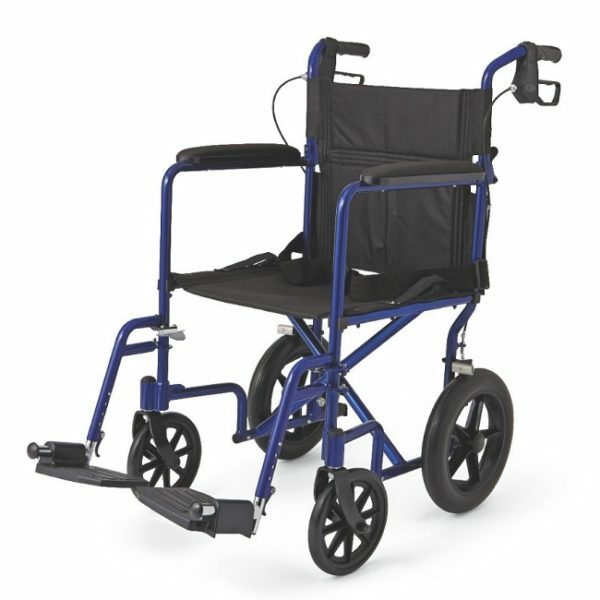 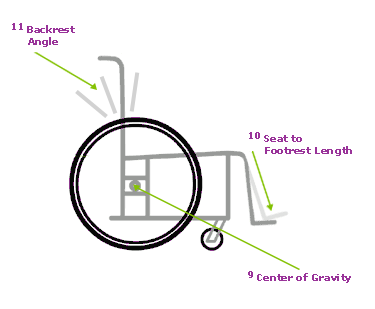 The Medline Deluxe Aluminum Transport Chair with 12″ Rear Wheels is made of a powder coated aluminum frame making it more lightweight and durable than carbon steel frame chairs. 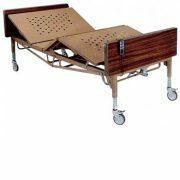 This chair is available in a 18″ wide seat with permanent full-length arms and swing-away detachable footrests. 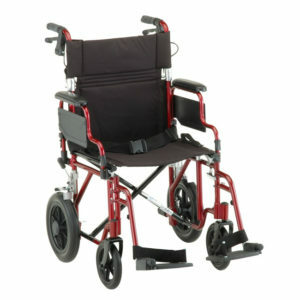 It has a seatbelt for safety, black nylon upholstery and is available in a blue frame. 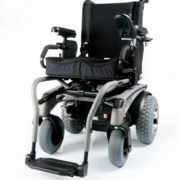 The chair also has rear handles that fold down for easy storage or transportation and comfortable padded armrests. 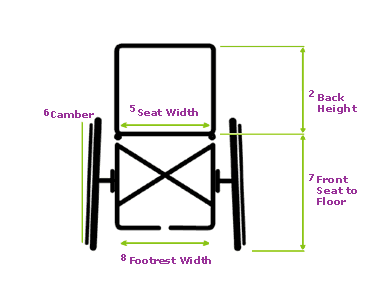 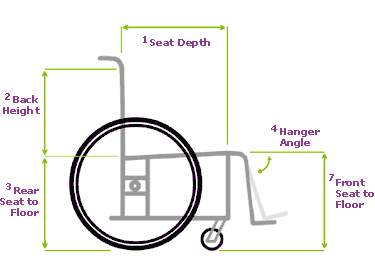 Overall Width Open – Add to Seat Width: 4.00"